Kohmann GmbH engineered the first Punch and Score Units for panoramic window production in 1985. The Kohmann Punch and Score Unit is designed for 24/7 operation and produces high quality packaging with a PVC/PET window glued over more than one panel of the carton. The unit scores, punches, and creases the substrate off the web. 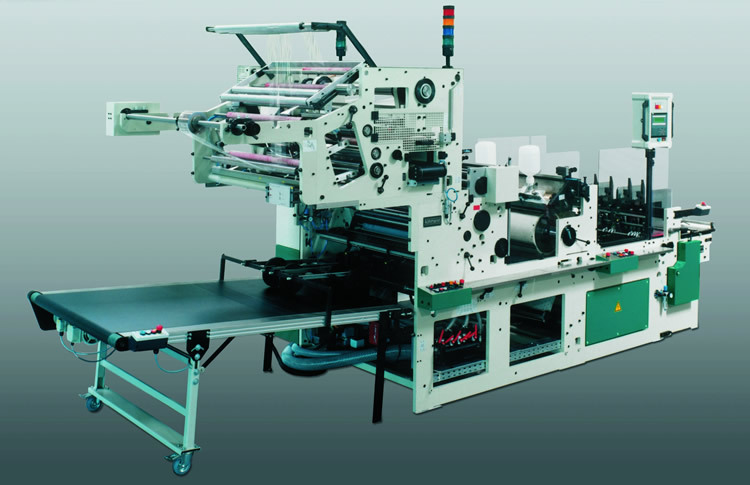 The automatic film web path alignment and braking system guarantees even running of the film as well as exacting registration.